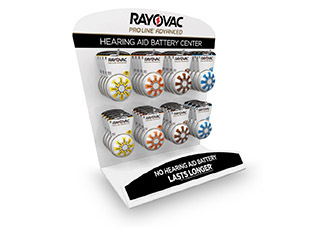 Rayovac Pro Line offers various business builders and marketing materials to their customers which allows them to better market hearing aid batteries. These business builders help customers to support and advance their business while marketing in an effective way. Many of these materials can be customized to portray your business and it's unique qualities. 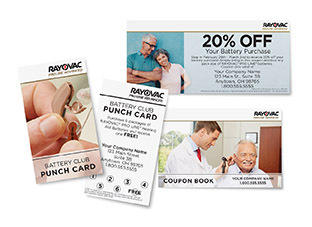 Incentive, referral, and coupon programs appeal to both new and returning customers and provide them with a reason to return to your clinic. 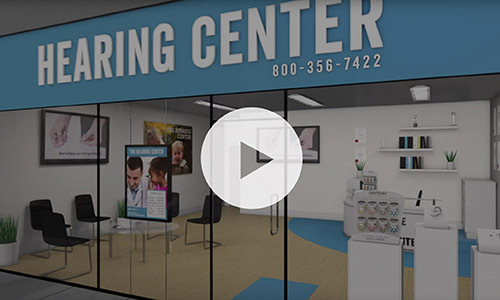 Provide your patients with the knowledge and tools necessary to stay up to date on new hearing aid battery trends and information. Keep them satisfied and coming back to your clinic. 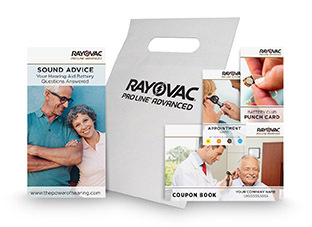 Expand your patient base by increasing awareness of your promotions and products. These programs allow both current and prospective patients to be informed about new offerings.